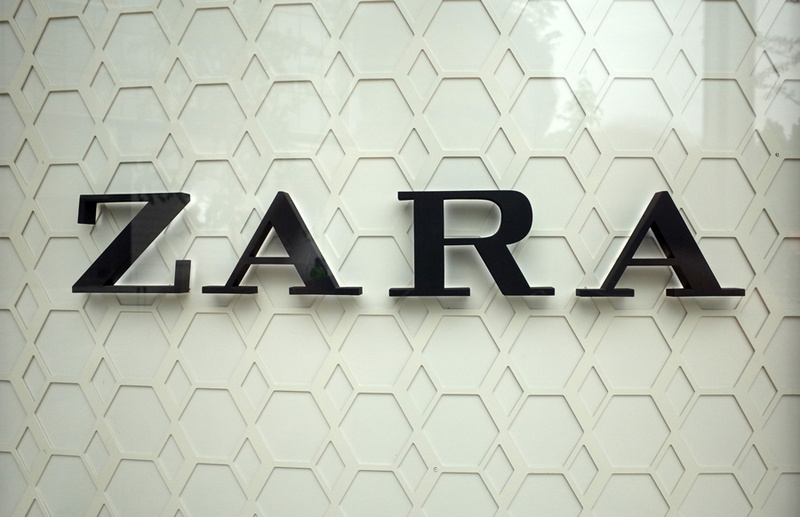 Zara has unveiled a new, curvier logo - but not everyone is a fan. The fast-fashion retailer recently revealed the updated logo, which replaced its former easily-recognised logo, on its website and social media accounts. Unfortunately, consumers are less-than-impressed with the new branding, designed by the Baron & Baron agency - as the letters are quite cramped. In addition to overlapping all of the letters, a curve has been added to the bottom of the Z and the R, making for text slightly difficult to read. The style is also not unique - as HypeBeast pointed out it is the signature typography of artistic director and Baron & Baron founder Fabien Baron. People mocked the brand's latest appearance - and questioned who approved the crowded design. Designer Erik Spiekermann also expressed his distaste for the new logo.